They're actually borrowed from real-life Tokyo. In the Tokyo Ghoul anime based on the dark fantasy manga of the same name, a dystopian society is paranoid about the existence of “ghouls,” which are more or less superpowered zombie-vampires that need to feed on humans to survive. It’s for that reason that an entire government agency is tasked with policing these monsters and trying to eradicate them altogether. Light spoilers for Tokyo Ghoul follow. Particularly within the larger city of Tokyo, ghouls are said to be more aggressive within the city than in other parts of Japan, perhaps due to a higher concentration of people quite literally making the urban area a feeding ground. That being said, the Tokyo of Tokyo Ghoul employs rather firm versions of the real-life “special wards” that are used to organize the real Tokyo. 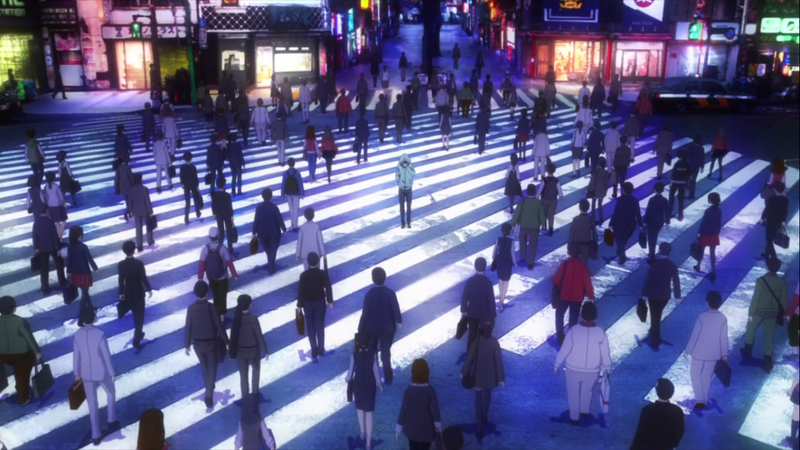 Wards are largely used in the anime to delineate areas where there might be more or fewer ghouls. Roughly speaking, the human government is centralized in Ward 1 — Chiyoda — and the Ward numbers progress in something of a clockwise spiral fashion outward. The centralized human government has pushed most ghouls to the outer wards. The real-life Tokyo has these 23 municipalities that make up what’s known today as Tokyo, Japan. Though each is politically independent as its own “city,” a more appropriate parallel would liken Tokyo wards to the boroughs one might find in New York City or London. Individual wards are fairly small. Ward 1, for example, is barely over 7 square miles in area. In Tokyo Ghoul, Ward 1 is the safest for humans, with 2 through 4 also being the safest for humans, and least safe for ghouls. Though the CCG has a branch office in Wards 2, 11, 13, and 20, its level of control in those various sections varies. Most ghouls either live in hiding or try to assimilate into human society — which is also why so many ghouls choose to wear masks if they participate in ghoul activities. The existence of ghouls results in a hierarchal subculture that is present throughout all of greater Tokyo, with ghouls fighting over scraps of flesh from dead bodies, or even competing for prey, all just to survive. It’s a power struggle and turf war over control of the various wards. Protagonist Ken Kaneki deals with isolation after he's transformed into a hybrid. As the series progresses, Ken and other characters travel to various wards, and we’re given insight into the politics and power struggles in them. Somewhere in Ward 21, for instance, is the Tsukiyama Estate, the expansive property owned by an upper-class family of ghouls. And the antagonistic ghoul supremacist group in the series, Aogiri Tree, uses areas like the underground Ward 24, the southern Ward 11, and the northern Ward 18 to operate beyond the grasp of the CCG. As Ken Kaneki explores more and more of ghoul culture in Tokyo Ghoul, he’ll come to understand a great deal about the class and municipality structure of the city he lives in, as it relates to both humans and the flesh-eating monsters that feed on them. The English dubbed version of the Tokyo Ghoul anime airs Sunday mornings at 1 a.m. Eastern on Adult Swim.